Meanwhile, members of the Civil Aviation Society in Agra released a poster, demanding a full-fledged international airport in the city. 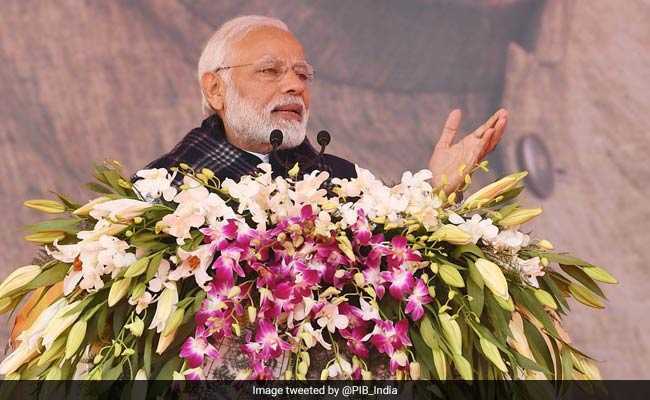 Prime Minister Narendra Modi will begin the BJP's election campaign in Uttar Pradesh with a rally in Agra on Wednesday. PM Modi is scheduled to fly to Agra from Karnataka's Bidar and reach around 3.15 pm. According to party sources, he is expected to inaugurate a number of projects in Agra. Agra's Kothi Meena Bazar ground is expected have two lakh party supporters, according to local BJP leaders. The party has put up hoardings of PM Modi all over Agra. Administrative sources said that around 4,000 police personnel, 10 IPS officers and as many companies of paramilitary forces would be deployed. District authorities announced there would be diversion of routes and ban on entry of heavy vehicles. Meanwhile, members of the Civil Aviation Society released a poster, demanding a full-fledged international airport in Agra. Activists on Tuesday drew attention to a promise made by PM Modi in November 2013 of constructing a barrage on the Yamuna river, saying no headway had been made so far. "Nitin Gadkari had promised a ferry service for tourists from Delhi to Agra, but there is neither water nor a ferry service," said environmentalist Devashish Bhattacharya.